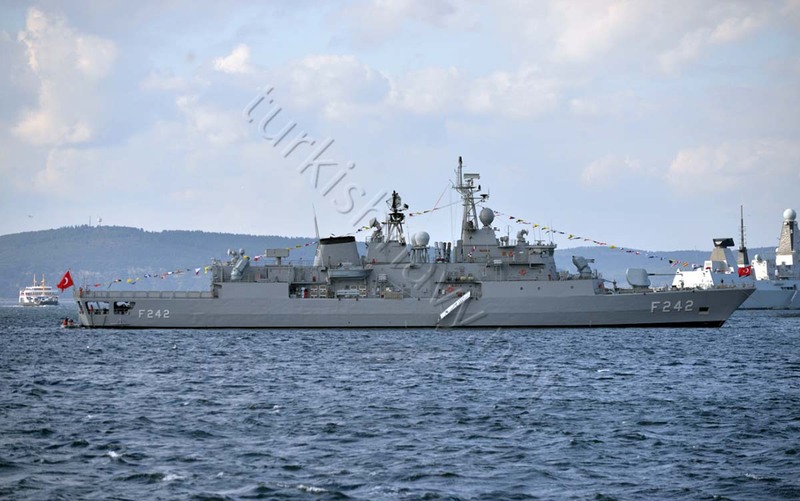 On 18 March 2015, Turkish Navy organised a Naval Parade in Çanakkale Strait to commemorate Turkish Victory over the Allied Armada 100 years ago. 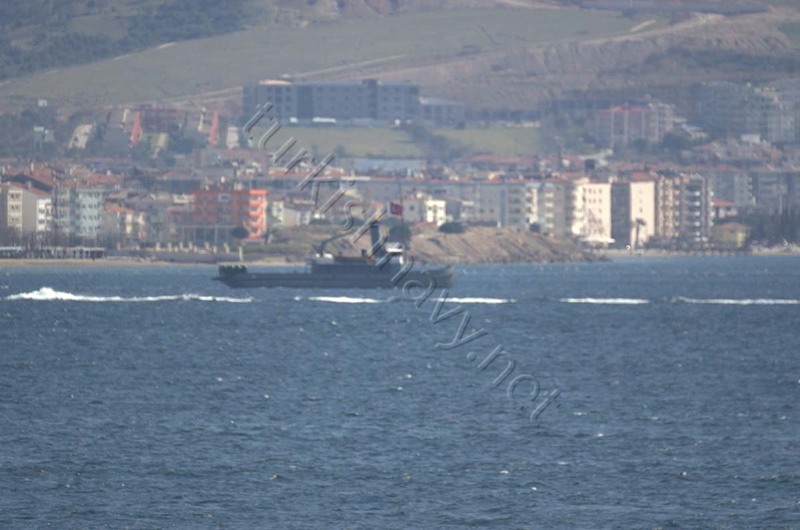 6 Navy and Coast Guard helicopters, 3 maritime patrol planes and 6 Army helicopters took part in a fly over. 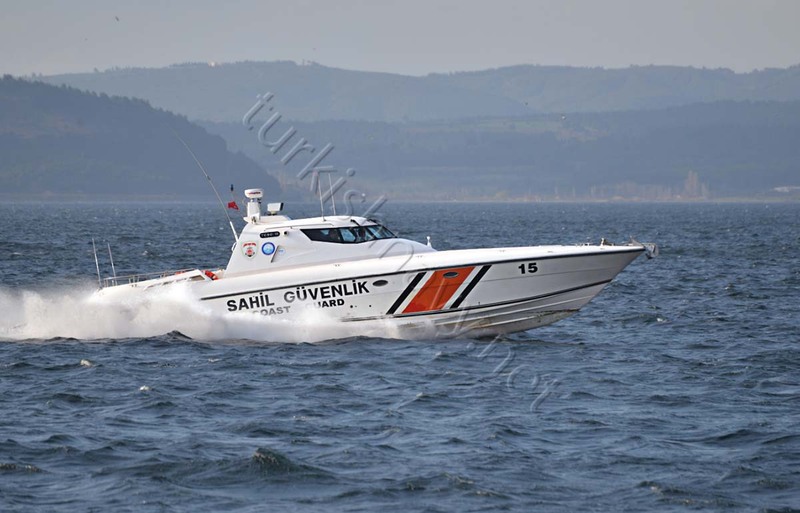 And the Turkish Stars, the aerobatic demonstration team of the Turkish Air Force made a display. 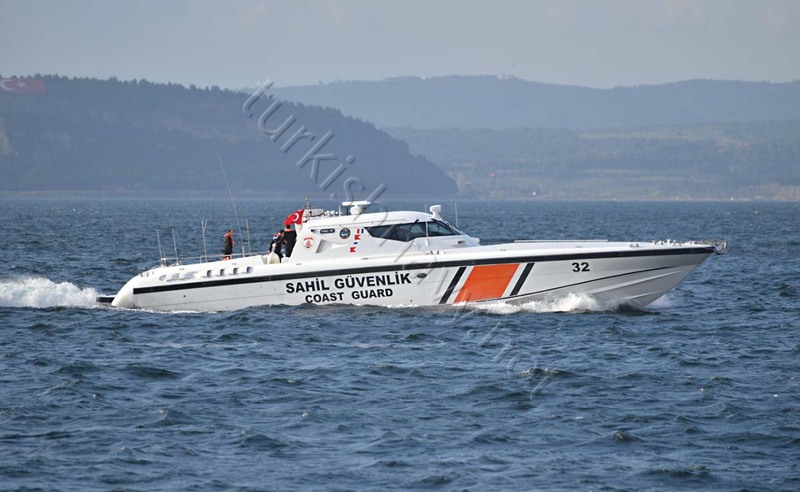 The focal point of the commemorations was the Çanakkale Martyrs’ Memorial, was off the limit for me. 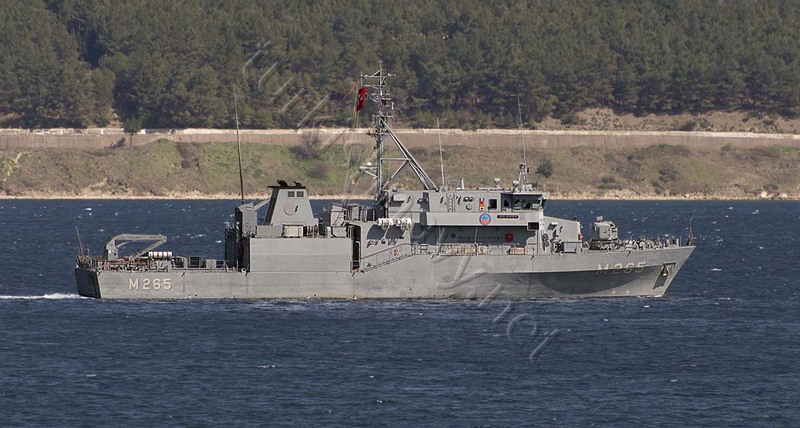 But I was never the less able to take photos of the warships taking part in the parade, Coast Guard Boats, providing security and ships that were open for public. 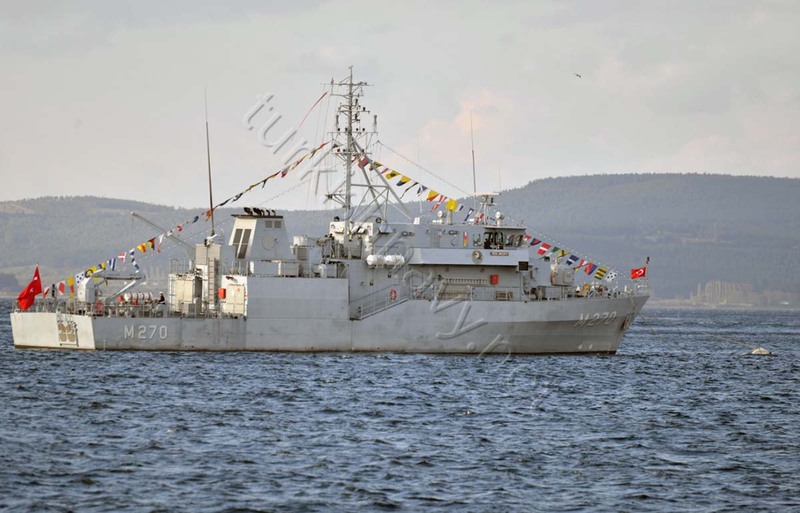 The point ship of the naval parade was the replica of the small minelayer TCG Nusret. 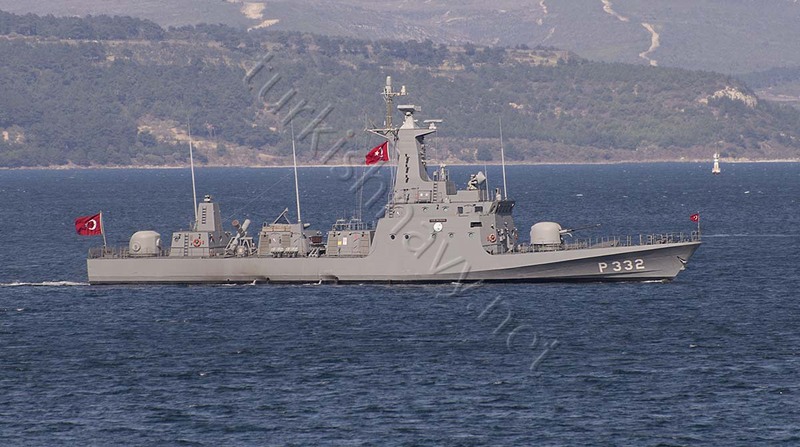 She was followed by TCG Alanya, TCG Akçakoca and TCG Ayvalık. 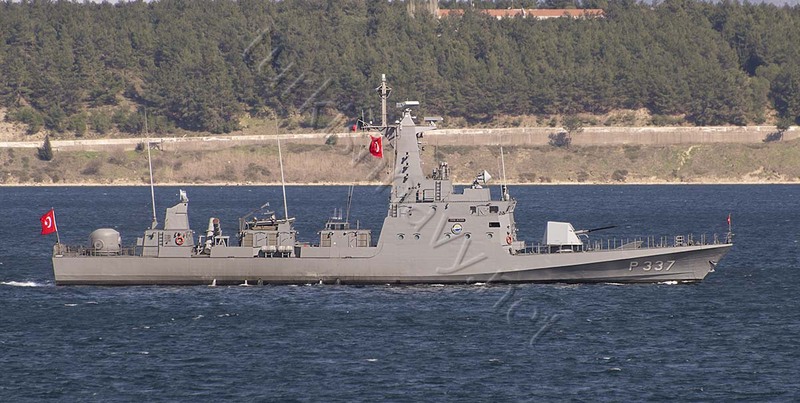 This was a very propitiate selection ans the mines of the original Nusret laid 100 years ago had a had very definitive results, from the point of view of the continuation of the battle and the future of the world, the mines laid as Sir Winston Churchill once said. 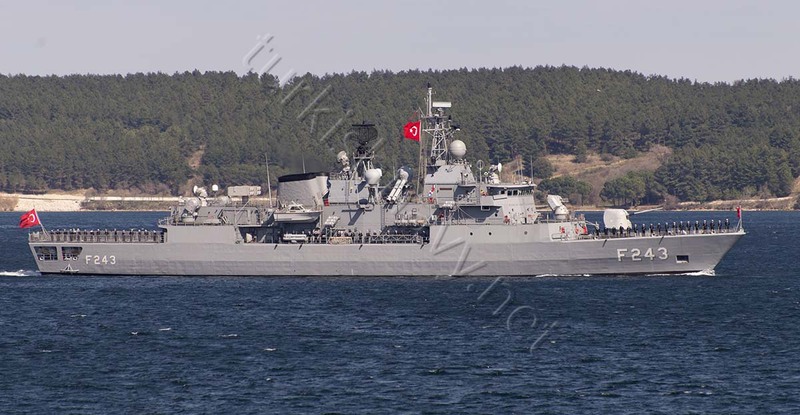 The second line of the ships were the frigates TCG Oruçreis, TCG Salihreis, TCG Yıldırım, TCG Yavuz, TCG Gemlik and corvettes, TCG Heybeliada, TCG Bozcaada and TCG Bafra. 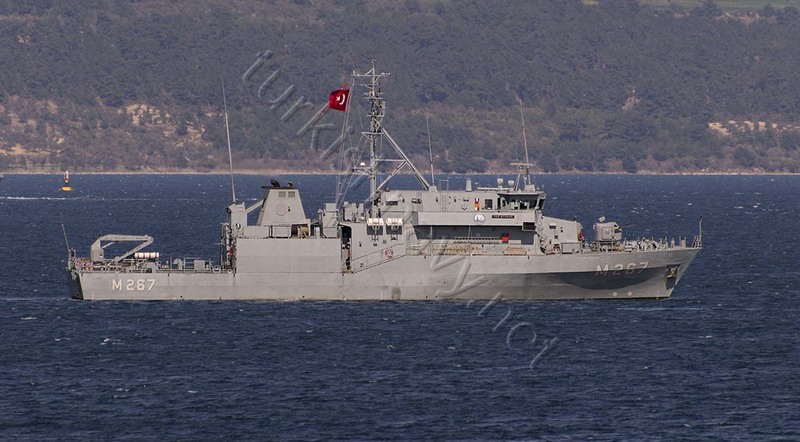 The frigates were followed by the patrol boats TCG Türkeli and TCG Karabiga. 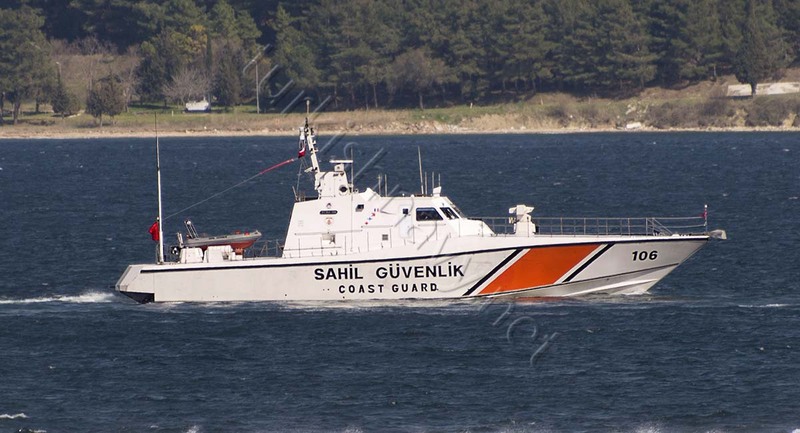 Coast Guard section was headed by TCSG Dost. 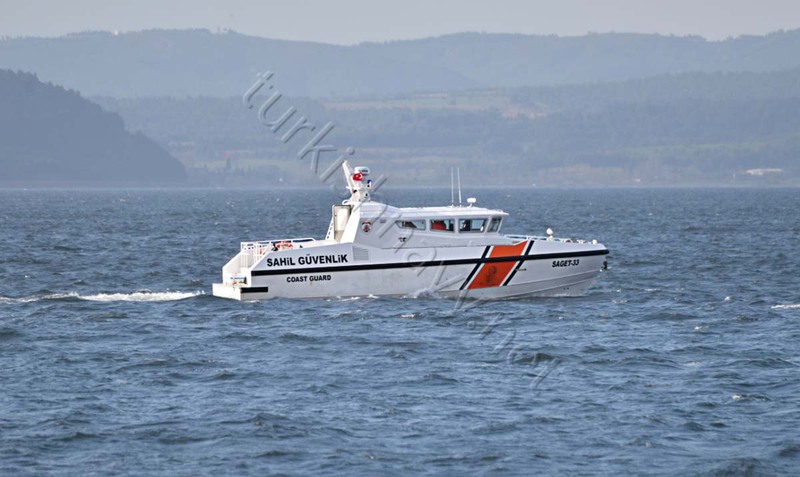 TCGS Güven, TCSG 303 and TCSG 106 followed her. 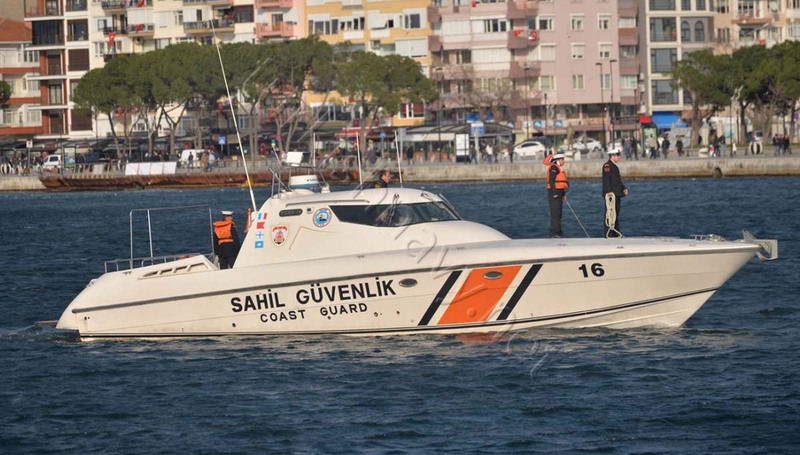 The fast attack boats were the last group of ships to take part in the parade. 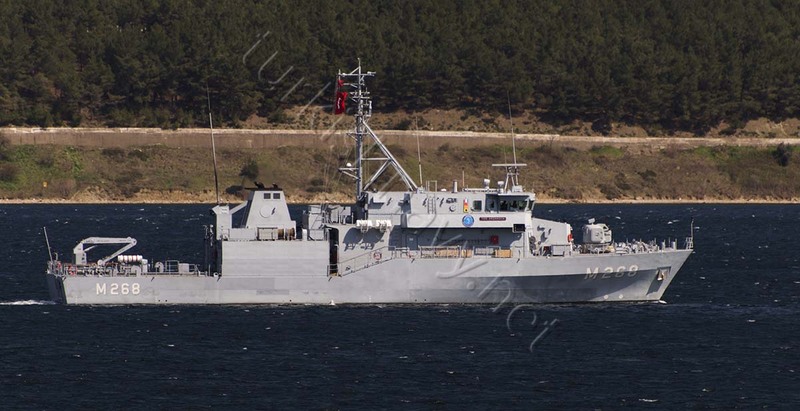 TCG Mızrak, TCG Kalkan, TCG Atak, TCG Doğan, TCG Tayfun, TCG Rüzgar. 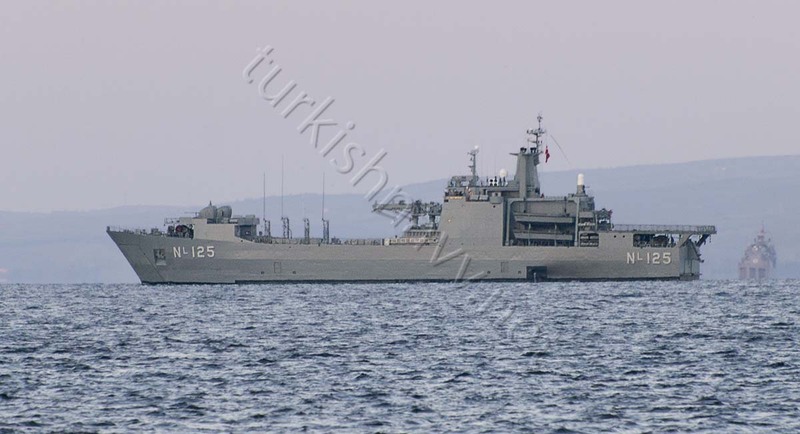 Large landing ship TCG Osmangazi made an appearance in Çanakkale but she did not take port in the commemorations.